Linear discussion only takes us so far. 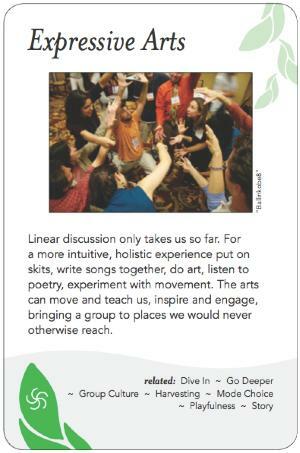 For a more intuitive, holistic experience put on skits, write songs together, do art, listen to poetry, experiment with movement. The arts can move and teach us, inspire and engage, bringing a group to places we would never otherwise reach.